Are you looking to setup google analytics in Magento? Not sure of using the perfect plugin? In this article, I will show you how to setup google analytics in magento, will show some standard dashboards & reports and also setting up tracking for checkout steps. If you are new to google analytics, the first thing is to sign up for a google analytics account. Otherwise, sign in to your google analytics account. Click on admin and then click on ecommerce settings. Inside the ecommerce settings, enable ecommerce and enhanced ecommerce reporting toggles and click submit. The third step is to connect your analytics account with magento store. To do this, you would need to copy your analytics tracking id and paste into magento dashboard. Follow the steps below to get this done easily. In your google analytics account, navigate to admin >> property >> property >> settings and copy the tracking id. After copying the analytics tracking id, open your magento dashboard andnavigate to System >> Configuration >> Google API. Inside the Google API window, from the type drop down menu, select google analytics and enter the tracking id into the Account Number field. Finally, click on the save config button. To verify the successful installation of google analytics in magento, open your magento site in a new tab and view real time reports in your google analytics reporting tab. The previous process for integrating google analytics in magento is the simplest and safest process and is mostly done by non-technical and less experienced people. If you want to go beyond the standard features and gain a deeper insight into your store performance, below are few popular extensions for magento in terms of ratings and reviews. Create the sales funnel to track each step in the checkout process. Use Magento Extensions or not? According to the magento users and experts, using analytics extension can cause some issues. This extension sometimes is incompatible with few magento themes and other extensions. The other important thing to understand is installing more plugins can slow down your site speed. By understanding all the risks of using extensions, the big point is you are getting more advanced reports without writing complex codes. Configuring google analytics in magento isn’t enough. You would want to track visitors and the behavior they show while purchasing any product. Tracking checkout steps are important to know where the users drop out in the purchase funnel. To track onepage checkout and checkout steps go through the article. Tracking onepage checkout abandonment using google analytics. This can be used to see engagement with content or generally how interested people are and where you may want to place your call to actions. You can track the percentage of visitors who see the call to action and if you consider moving it up higher. 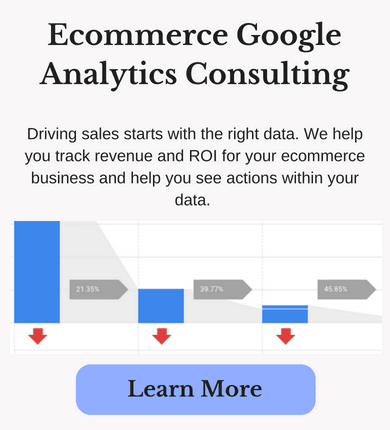 Google analytics is a must have for every website, especially on ecommerce sites. Hopefully, this helps you get a clearer insight into the sales process. If you have any questions please let me know in the comments and if this helped you please share within your circles.